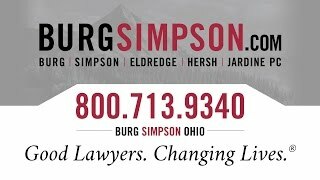 The attorneys at Burg Simpson in Ohio are well-versed in most areas of the law, and we’re here to share our insights about pressing legal matters. Read our Ohio blog to learn more and get questions you may have answered. Whether it’s a press announcement or an update about one of our attorneys, you can stay informed about the latest happenings involving Burg Simpson Ohio by reading our latest Firm News stories. We’ve aggregated a list of online resources that can help you answer most of your legal questions. Our video collection includes analytical discussions about most legal issues as well as stories about the firm itself. 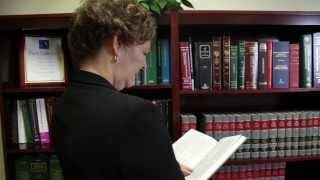 Janet Abaray, Burg Simpson Ohio Managing Shareholder, shares how a degree in English Literature has helped her further her success as a trial lawyer. Ms. Abaray is an alumna of the University of Cincinnati where she graduated with a Bachelors of Arts with a Major in English & Comparative Literature. Anti-seizure medicines have been known to increase the risk of birth defects. Attorney Janet Abaray explains what’s different about Depakote/Depakene. If your child was affected, you may be eligible for compensation. For more information, contact Burg Simpson at 1-800-713-9340.